We are in full revival of the Yakuza brand it seems, as Sega is now up to the second game in the franchise. With this one, the developers are committed to the Dragon Engine featured in Yakuza 6, but while I didn’t enjoy that entry as much, Yakuza Kiwami 2 strikes a better balance of new and returning content for the fans. As with the previous Kiwami game, Yakuza Kiwami 2 is a remake of the original game for modern consoles. Story-wise, the game’s major plot is note-for-note the same. Everybody’s favorite Yakuza Kazuma Kiryu is trying to enjoy a life free from his criminal past. When the Tojo Clan’s chairman is murdered one year after the events of the last game, he once again finds himself having to keep Japan’s criminal underbelly from descending into all-out war; using his fists to solve any problem. 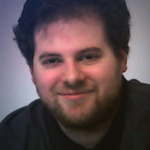 The graphics and combat engine have all been redone using the Dragon Engine. From a graphical standpoint, the series continues to look amazing with its mocap for faces and the environments. The use of multiple types of experience returns from the Song of Life — requiring players to perform multiple activities to get the experience points they need to power Kiryu up. 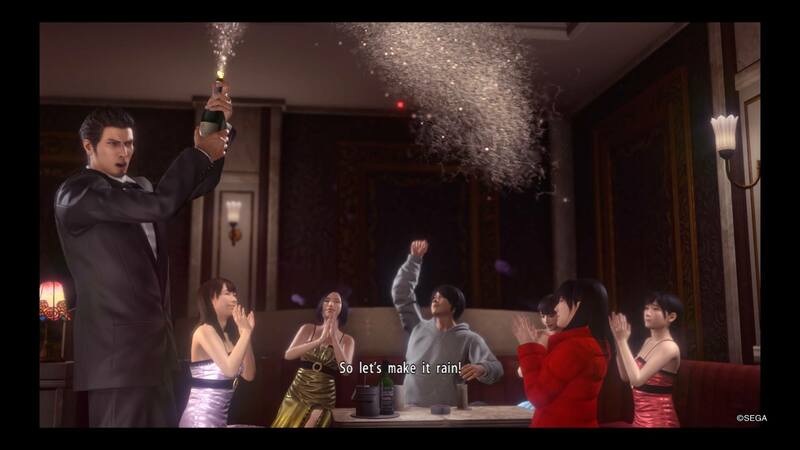 And once again, it wouldn’t be a Yakuza game without a plethora of activities for players to do. As with the case of the series, expect to find plenty of things to do in the world of Yakuza Kiwami 2. On the mini-game standpoint, you’ll find new arcade games of Virtua Fighter and Virtua On to play. The new “toyette” system is as weird as it is awesome. The game once again features a wide assortment of “side stories,” where Kiryu will once again find himself getting into weird situations throughout the game’s two cities. For grander bonus content, Yakuza Kiwami 2 features one side game from Yakuza 6 and one from Yakuza 0. Kiryu will head up the Four Shine Cabaret club just as Majima did in 0. The game remains the same, as you must lead your group of ladies to cabaret stardom against four rival clubs. 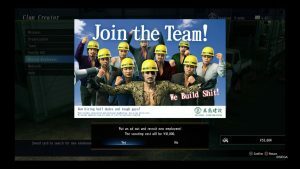 The clan creator gets a touch of Majima as you join Majima Construction to defend the company from rivals. As before, you’ll gain new employees by completing quests and exploring. I’m not a fan of this game, as I felt the UI still makes it harder to issue commands to your team. 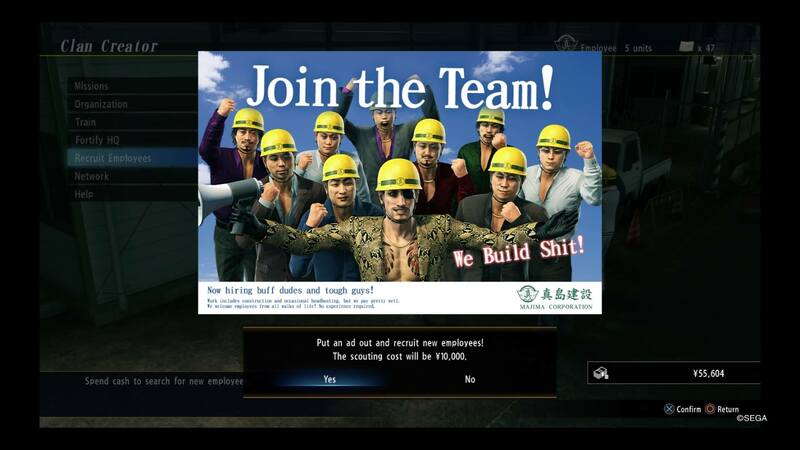 With that said, each mission success lets you hear Majima Constructions anthem in honor of its president which may be worth it in of itself. Speaking of the mad dog, Yakuza Kiwami 2 has brand new story content with him as the star. The most heavily touted feature added to Yakuza Kiwami 2 is the new mini campaign featuring fan favorite Goro Majima: The Mad Dog of Shimano. As you complete chapters in the game, you’ll unlock these bonus vignettes that can be played from the main menu. The story, seen from Majima’s perspective, follows what he was doing before the events of the game, and a chance for him to revisit some of the locales and people we met in Yakuza Zero. Unfortunately, if you were hoping for a full on campaign like in Zero, the Majima chapters are on the short side. 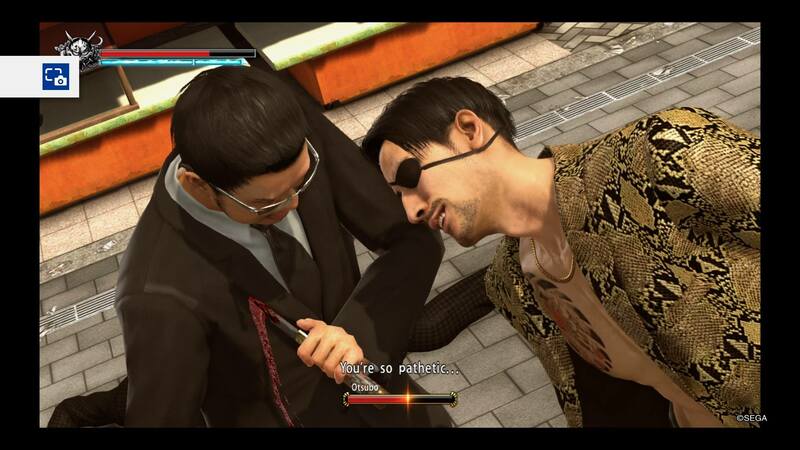 Majima does not level up or unlock any moves, and the real reason to play this is for another glimpse into the mind of Majima. The only carryover from this campaign to Kiryu’s story is by earning enough money to leave “gifts” to be used in the main story. My only real issue I have with Yakuza Kiwami 2 is the same one I had with 6 and that has to do with the combat system. 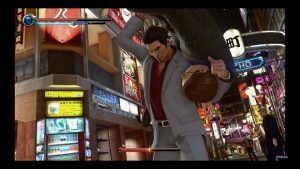 For those hoping for more work to the combat system or evolving it, Yakuza Kiwami 2’s system is slightly more enhanced than 6. Charge moves by holding down either square or triangle are pretty effective, and the number of heat actions is the most seen in the series yet. 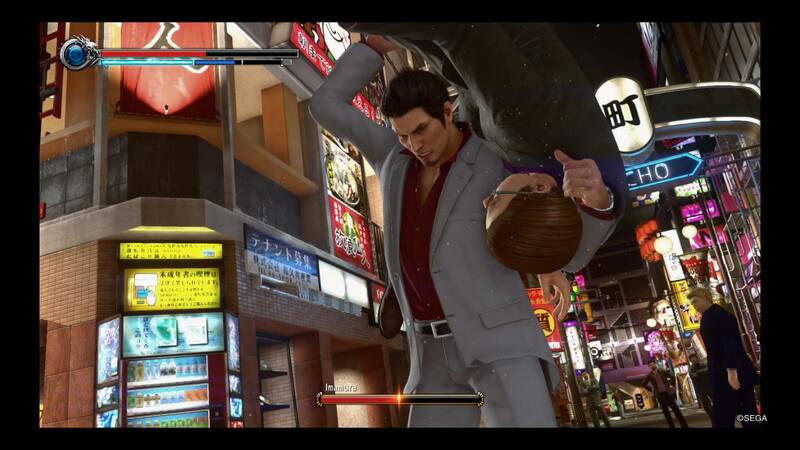 Just about every object, every area, and even onlookers, can be used with Kiryu’s heat gauge for hilarious damage. 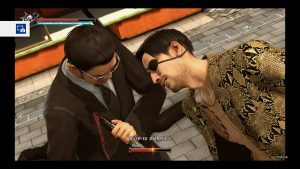 The “extreme heat” mode seen in 6 does make a return here, and I think will be used in the future Kiwami games. You are once again able to store and pull out weapons to use in combat — allowing players far more utility for the harder fights. As we mentioned already, the progression model from 6 is also carried over into Kiwami 2. What that means is it’s possible to have fights be harder than they should if you failed to unlock important skills like parrying and the quickstep bonuses. At this point you are either all in or not for the remakes of the Yakuza franchise. If you’re new, I still think Yakuza Zero is the best starting point in the franchise, but Yakuza Kiwami 2 is a solid entry. Who knows, at the rate Sega is going, I may be playing a Yakuza Kiwami 6 in the future. I do hope that they decide to grow the combat, as I still enjoyed the different styles of Yakuza Zero the most so far. For a look at the starting chapters, you can watch my spoiler play in the video linked down below.